After months of anticipation, StarWars.com finally announced the new Han Solo season, among other major updates, for Battlefront II. Starting on May 16th, more content from the Original Trilogy will e integrated into the game, with more additions from Solo: A Star Wars Story planned for June. Players will finally get to fight it out in Jabba's Palace. This map will be playable in Blast, Hero Showdown (a new game mode), and Heroes vs. Villains. 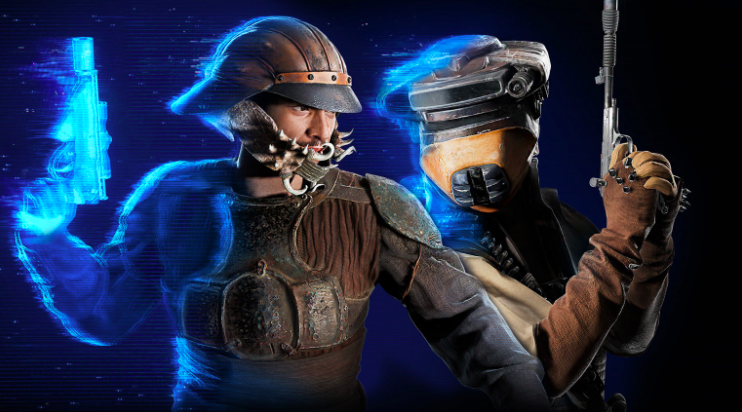 Additionally, players will be getting new skins for Leia and Lando. There's also the new game mode, Hero Showdown, which will consist of a team of two heroes taking on a team of two villains in round-based elimination. And finally, players can take to the skies offline with Starfighter Custom Arcade.